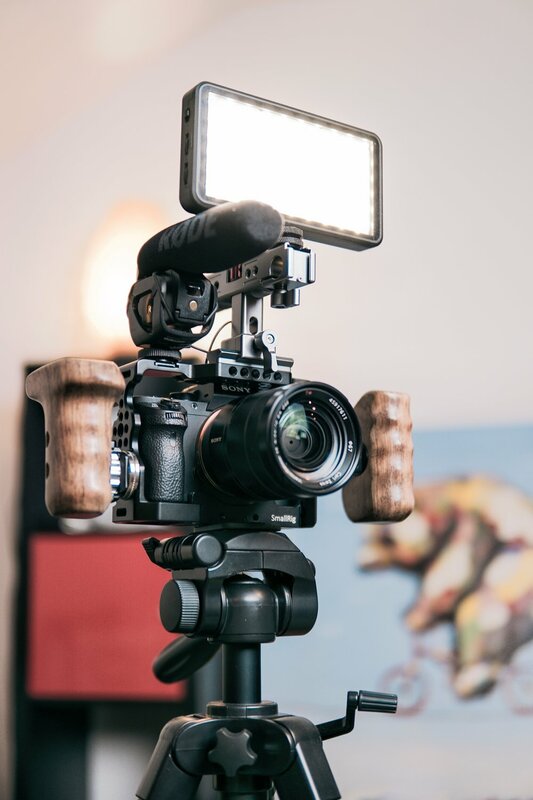 With experience in photography, videography, audio recording, editing, and blogging there are endless opportunities for creating high quality original content for your audience. Whether it be a podcast, product photography or a brand video, I've got you covered! Contact me for pricing. Brands are creating innovative, unique and entertaining content that connects with their customers and audience on a more interactive basis. Creating an online show for your brand can separate you from the rest of the pack, and with a team with experience producing a variety of online shows, we can ensure that your brand will stand out! Are you or your business looking to start a podcast but don't know where to start? With the equipment and the experience, I am able to help you create your very own professional sounding podcast! Need a brand video, music video or looking to start a vlog? No matter how big or small the project, we can make your vision a reality together. Company portraits, product photography, social media photography. Your brand's imagery is good hands! Whether you are a startup still searching for a name and logo, or are a well established organization that is looking to freshen up it's look, my team of designers and I will be able to help you present your brand in the best possible way. By using your organizations core values and vision, we will assign your brand a personality, develop a voice and unique design to best present your brand to it's perfect customers! Contact me for pricing. Social media is where your brand comes to life. It's where the connection between you and your audience happens most often. It's also where your brand tells it's story. I believe that all marketing and content creation should start with a brand first mindset. No matter what the brand, I ensure that I have a full understanding of the voice and personality of the brand before sending a single tweet! Contact me for pricing. An effective social media presence starts with a solid strategy. Whether you are focusing on one or multiple social platforms, a custom social media strategy is essential to ensuring your brand maximizes its effectiveness on social media. If you or your business are looking for fresh eyes on a project or need some some help tying up loose ends on a strategy, I'd be happy to help! With experience in an array of marketing functions, I can often lend a new and different perspective. We hired Bryton and his team to produce a short video for a big brand. He took the time to develop the strategy with us, and plan the shot list. With his leadership, easy-going nature and ability to stay proactive, we got what we needed, and then some!